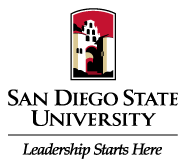 The criminal justice program at San Diego State University is designed to encourage thoughtful exploration of the ways that criminal justice systems provide “justice”, or fail to do so. The program also studies criminal justice from a social justice perspective, allowing for the examination of policy issues as diverse as genocide, institutionalized racism, organized crime, and environmental destruction, in addition to traditional criminal justice issues. The Bachelor of Science in Criminal Justice appeals to students who are interested in working in the fields of law, law enforcement, probation and parole, corrections or other social service agencies. This degree also prepares students for law school or graduate school in either criminal justice or a related field. fulfill the pre-major requirements described in the catalog in effect at the time they declare the premajor. complete 4 required prerequisite courses noted on Major Outline (21 units). have a cumulative grade point average of 2.8 or higher.